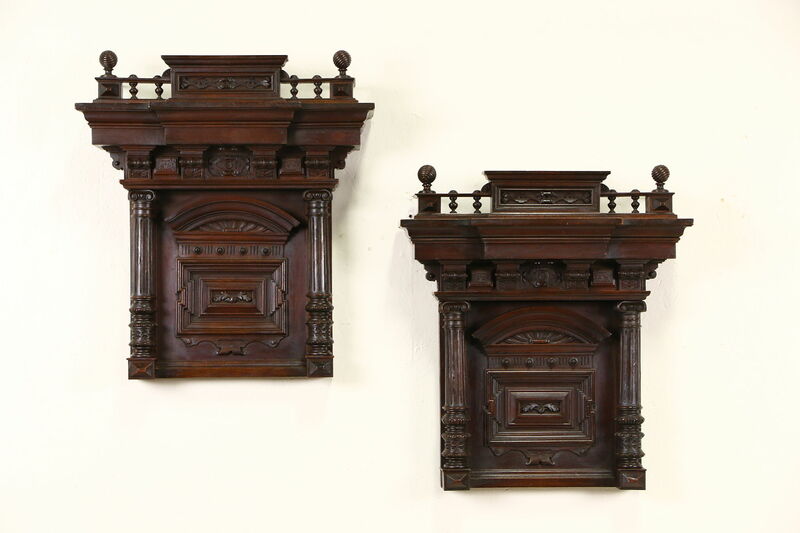 A pair of classical architectural salvage fragments were hand carved in Italy about 1890. Exquisite details include spiral finials and fluted columns with Ionic capitals. The original finish is very well preserved and has been waxed and buffed. These antique panels measure 20 1/2" wide, 6" deep and 22 1/2" tall.